It was a nice Sunday the sun was out, a bit on the chilly side with 5 degrees celsius, the wind at was strong came in from NNE. I got my bike out and went for a ride around Ringvaart near Amsterdam. Ringvaart is a canal in the province of North Holland, the Netherlands. The Ringvaart (Dutch meaning “ring canal”) is a true circular canal surrounding the Haarlemmermeer polder and also the name of the dike bordering the canal. The Ringvaart Polder has a road with bike lane that follows the canal that goes all away around, on weekends Ringvaart is a popular destination for cyclists and it was no difference today. Many road cyclists out for training rides, which makes it a great place to hook up with other bikers to ride in a group. Riding along Ringvaart you come across many bridges, that makes Ringvaart a great training ground for doing intervals, my ride today was all about intervals. There are traffic lights at at many of the bridges, which makes it ideal to stop and get into a ride with a group. As Ringvaart goes in a circular ring, you might want to check the wind direction when you head out. I tend to choose to have the wind coming from the south which means I have headwind starting out and the wind in the back on the way back. Today the wind came from North East (NE) so I had the wind from the side most of the ride -finding a group to ride with help you during windy conditions. 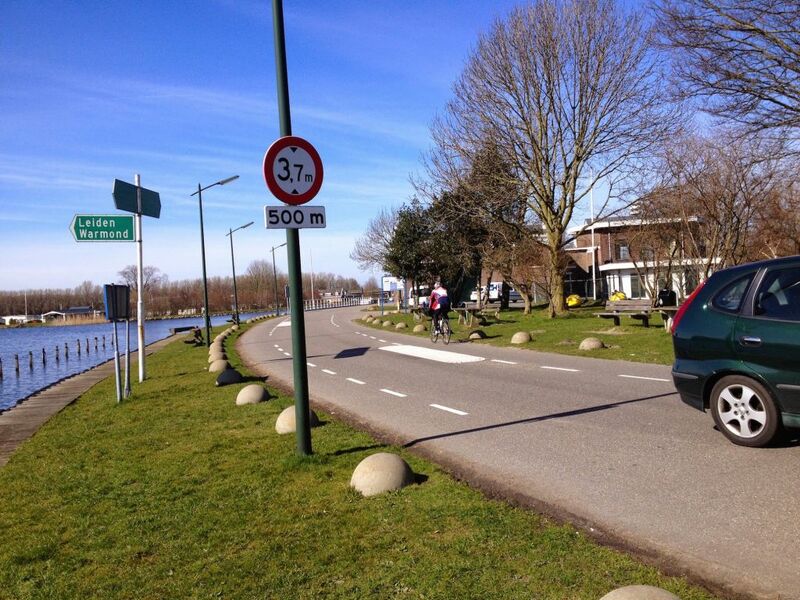 For the more leisurely bike riders, going around Ringvaart offer many opportunities to stop and have a bite or drink in the small villages that you pass through. In April the fields inside the polder turns into a patch of colors as this is one area where flowers are grown in Netherlands. I came across one field on my ride today with flowers on a field. The Ringvaart canal are used for rowing and once a year the OC&C Ringvaart Regatta is arranged which is a 100 km rowing event. More info here. Here some pictures I took during the ride.